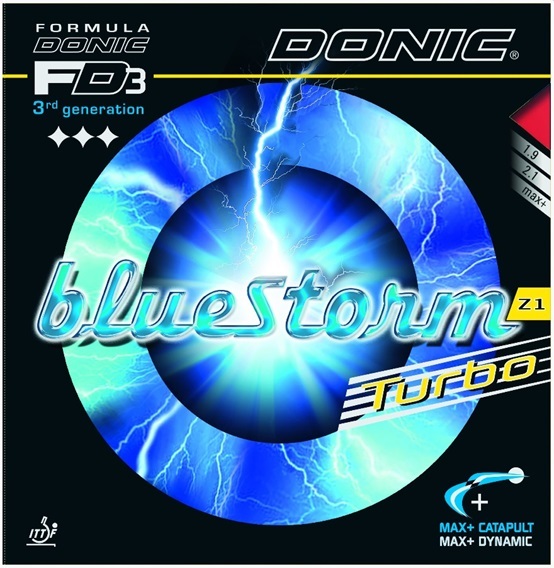 The hardest and fastest rubber in the Bluestorm series. The Bluestorm series of rubbers have a thin topsheet allowing an increase in max sponge thickness. With a 50° sponge and a thin topsheet, you can expect this rubber to be on the upper end of the spectrum when it comes to power. This is for those who like the performance of Z1 but want some extra power added on top.